While it's tempting to stick to routine, it can often lead to regrets later in life – whether that's opportunities ignored, romances unpursued or words left unsaid. Remember, nothing in life is certain, so start taking risks, experimenting, accepting failure and learning from mistakes – you just might discover who you really are. 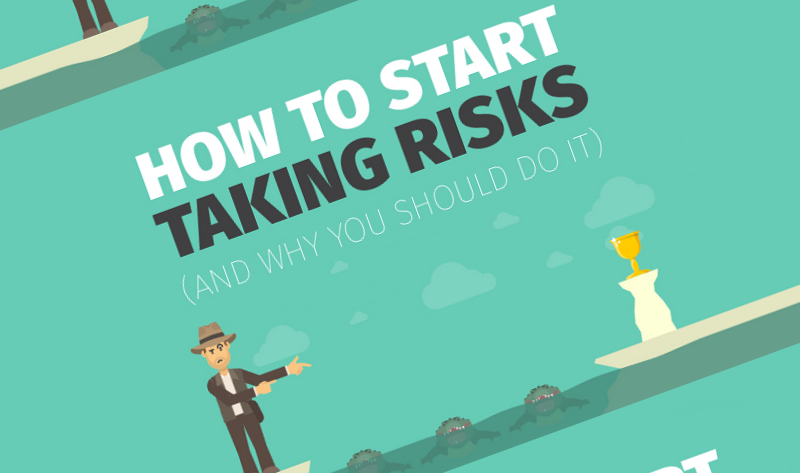 Here's an infographic from Vegas Extreme Skydiving, on how to start taking risks and why you should do it.